Hertfordshire is one of the home counties in the East of England and borders Greater London, Buckinghamshire, Bedfordshire, Cambridgeshire and Essex. The county town of Hertfordshire is Hertford. If your business would benefit from using a wide range of warehouse services, including; pick and pack, courier services, warehouse racking, stock management, a loading bay, CCTV security, an invoice service, pharmaceutical storage, order picking, pallet storage, bulk storage and much more, perhaps Beattie Transport of Stevenage or Aztek Logistics of Letchworth can assist. Warehousing and distribution in Hertfordshire with quality warehouse services will assist your business to achieve efficient ecommerce fulfilment. To speak to them about a tailor-made service to suit your requirements view their advert via the FIND SPACE button on the home page. Alternatively, click on the more information button next to their name below to display their contact phone number and email address. Being in this location and having great links to London and other counties in the UK, Hertfordshire warehouse space is great for companies looking for pallet storage with easy access to other areas of the UK for their distribution. Although your warehouse option can be based anywhere and not necessarily near your head office, especially order fulfilment operations, warehouses in Hertfordshire offer close proximity to London and an ideal location for those wanting to be close by but without the London prices. Whichwarehouse has a vast network of 3PL companies, some being based in Hertfordshire which are able to provide warehouse space to rent of various storage capacity. 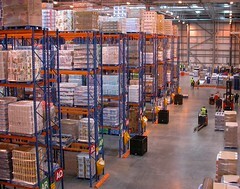 The warehouse services available will make it easier to rework your commercial goods. Combined with reliable warehouse logistics, providing both nationwide and international distribution, we can direct you to the perfect solution for your businesses requirements. Feel free to contact a member of the Whichwarehouse team on 0800 1707 555 and we will be happy to assist by carrying out a free of charge search of our current facilities in this area and contacting the warehouses on your behalf to initiate contact.